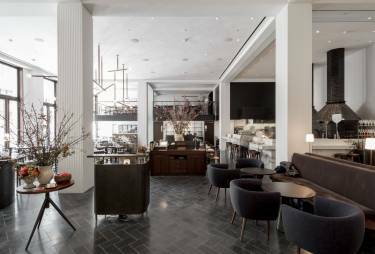 The Martha Washington, Manhattan’s iconic hotel for women which opened in 1903, has been revived and reimagined for a contemporary audience. 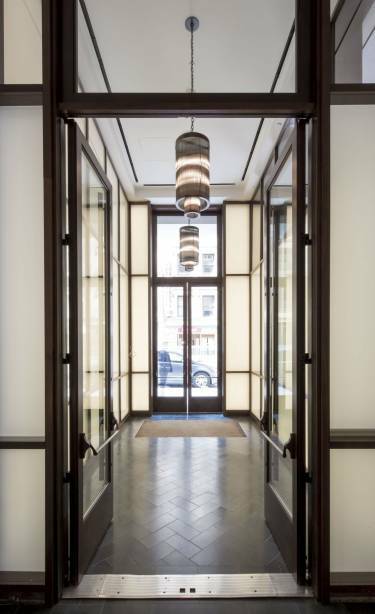 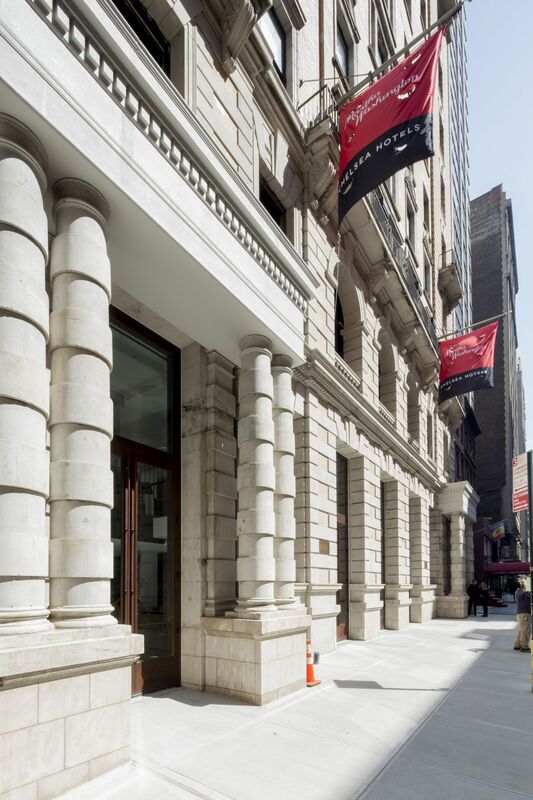 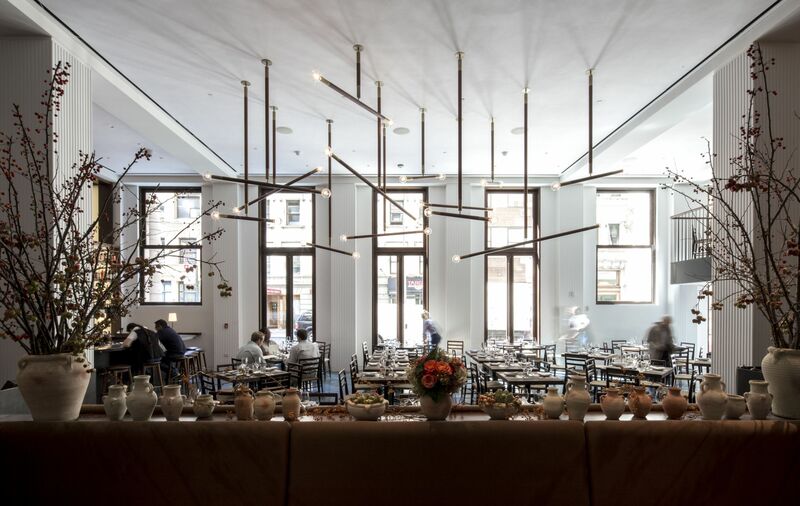 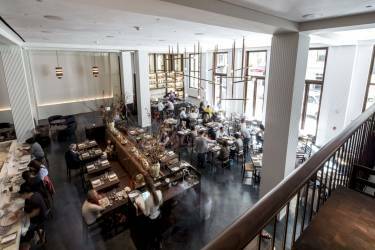 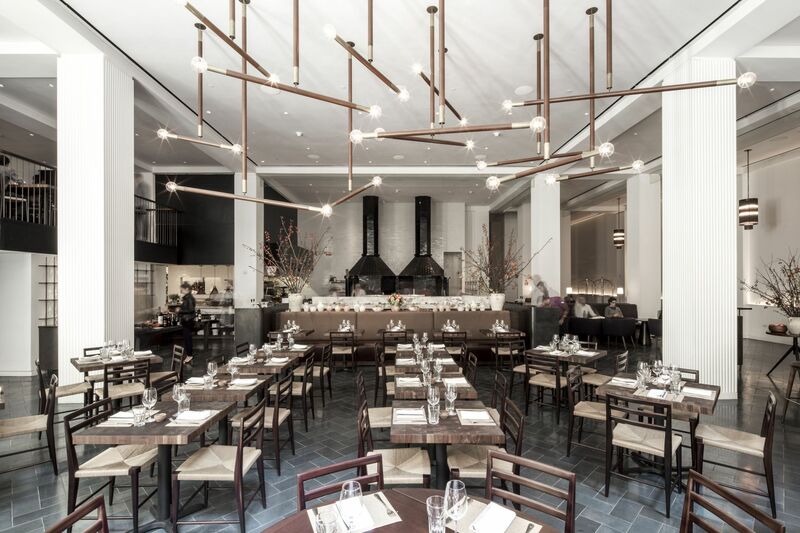 Selldorf Architects restored portions of the building’s landmarked façade and designed key public spaces totaling 30,000 sf including the restaurant and lounge—amenities that make the hotel a vibrant neighborhood destination. In order to make the hotel’s public spaces feel like an integrated part of the city, the entire first floor slab was demolished and rebuilt three feet lower, making it continuous with the sidewalk. Window openings were also elongated and replaced with operable glass doors at the street which enhance visibility and connectivity. The hotel welcomes the public with Marta, a new Roman-style pizzeria. 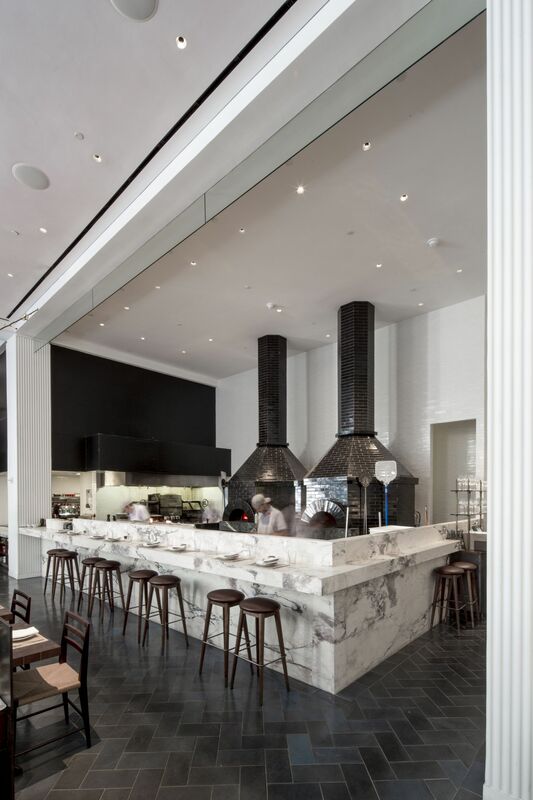 Two large tiled pizza ovens are the focal point of the restaurant fronted by a pizza bar where guests observe the chefs at work. 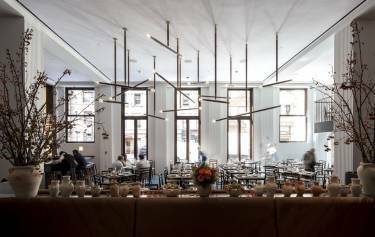 Tall ceilings recall the grand proportions of turn of the century architecture, while the interiors are decidedly modern. A controlled palette of common design elements including blue cement tile floors, white fluted columns, and walnut millwork bring continuity to the diverse public spaces. 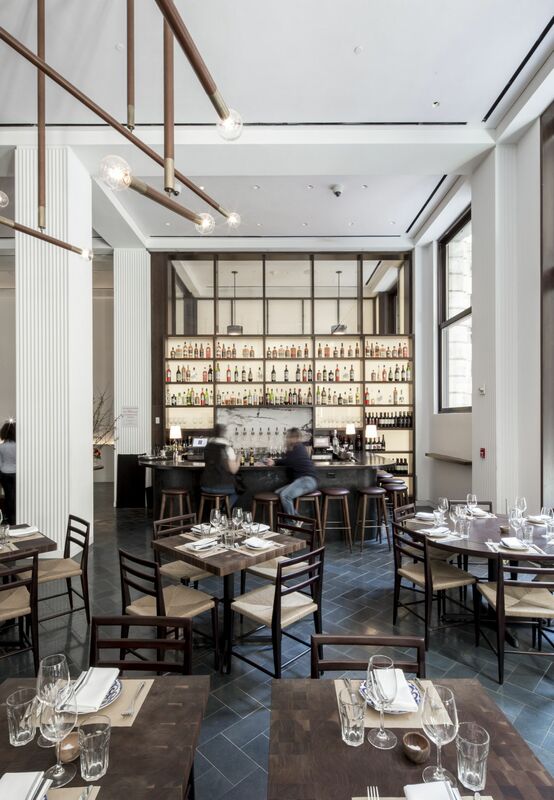 Furnishings and fixtures are custom designed by Selldorf Architects, everything from the velvet banquettes to the smoked glass rod pendants.